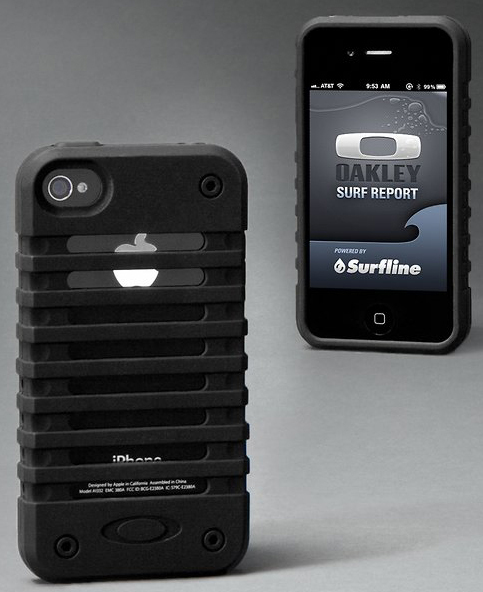 If love going outdoors this summer get this Oakley iPhone 4 Unobtainium Case for your iPhone 4.This would not only protect your phone but it will will maintain the modern looks of it. The Oakley iPhone Unobtainium case is made of flexible yet durable rubber material that offers a no-slip grip and protection against scrapes and dents. With its stand out looks and ruggedly designed yet unique case, the Oakley iPhone Unobtainium Case features an open face allowing full access to the screen and easy access to the back and side buttons and ports. Connect to the world while having fun outdoors. With Oakley’s iPhone Unobtainium Case, you’re sure to have a good grip of your phone while keeping it protected from the rough environment. It offers your phone extra protection, and a custom look that sets it apart from the uninspired world.